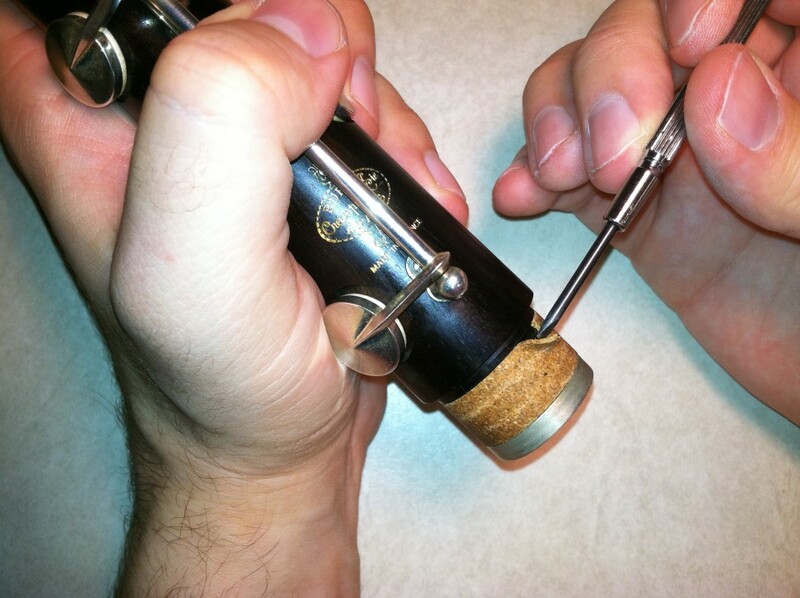 One of the most common woodwind repair needs is replacement of a clarinet or oboe tenon cork (or bassoon, if you have cork joints, or wooden piccolo, or recorder…). 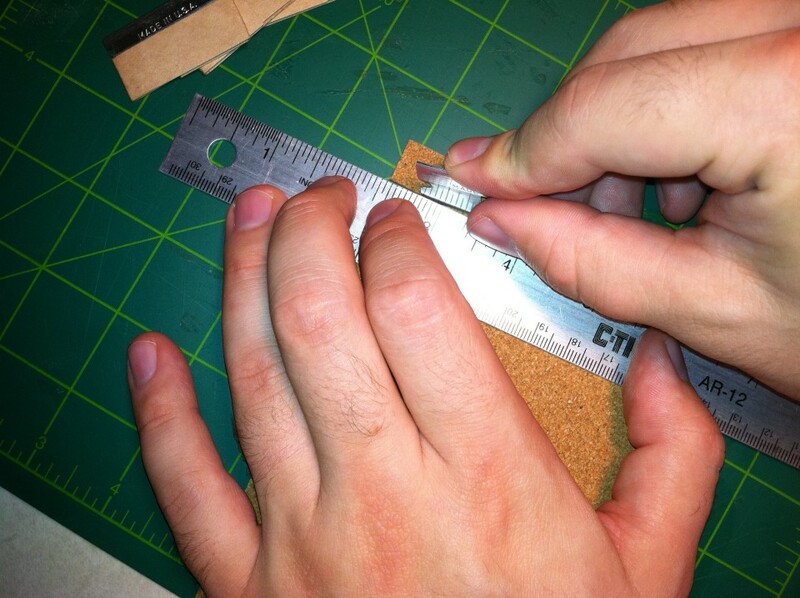 It’s an easy job, and doesn’t require much more than a piece of cork and a few minutes. Let’s do it. 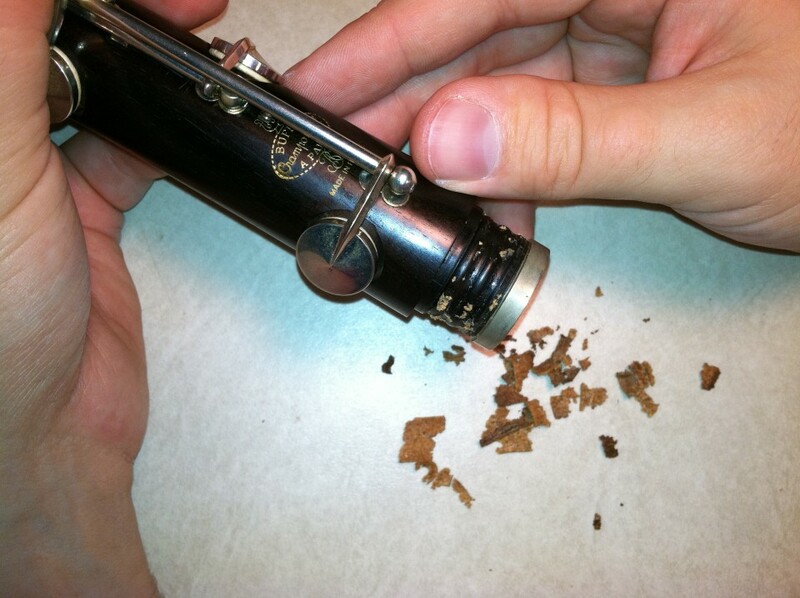 A few weeks ago, I replaced the bell tenon cork on this clarinet with a composite cork product, made from compressed cork bits. It’s cheaper than traditional solid cork, so I thought I would give it a try to see how well it compares. But the cork I used was too thin, and the bell was too loose. I’m going to try the experiment again with a thicker composite cork, but you can do this exactly the same way whether you’re using solid or composite. You can get either kind from MusicMedic.com. First peel off the old cork. 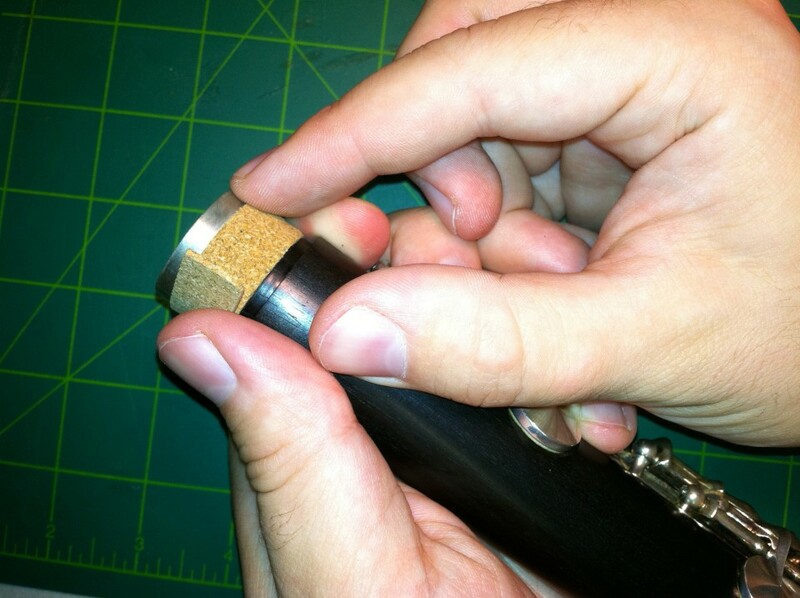 Remove as much of the old cork and glue as possible, so the new cork will be smooth and even. Measure a piece of the old cork to see how thick it was. 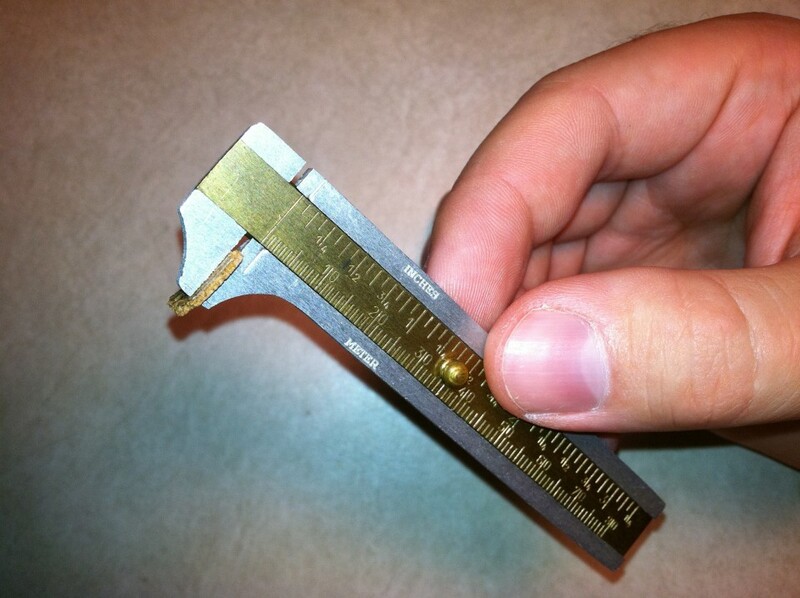 A small sliding caliper is handy for this, if you’ve got one. 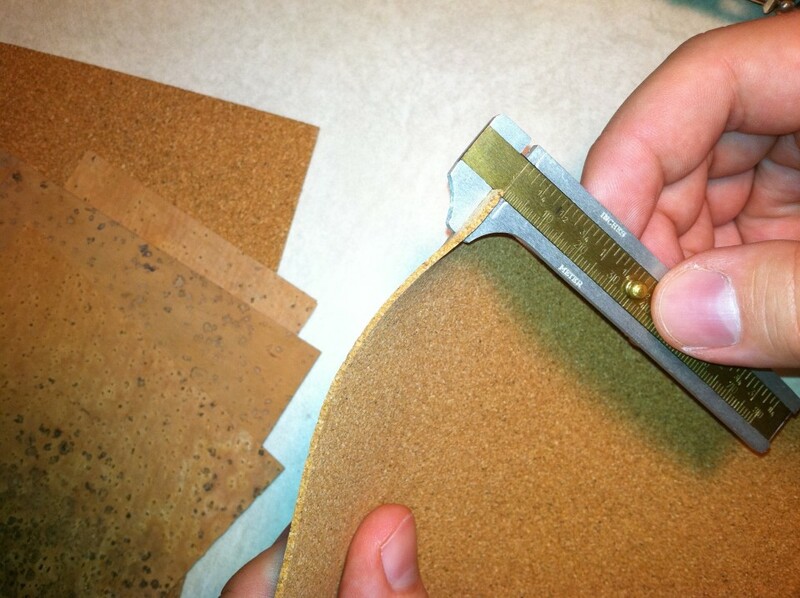 Find a new piece of cork that’s the right thickness. In this case, I’m intentionally going a little thicker than the old cork. Cut a strip to the right width for the groove in the tenon, long enough to wrap around plus a little extra. 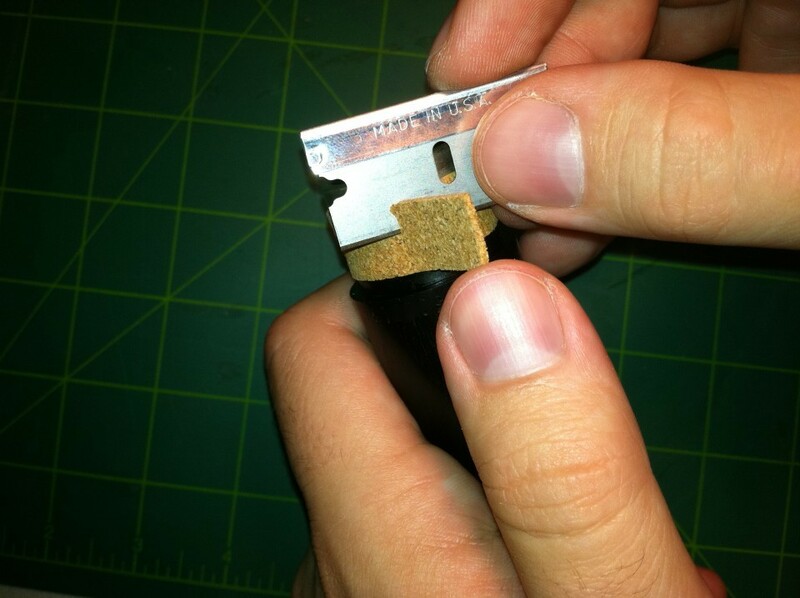 Since the cork is crumbly, especially the composite cork, you need a very sharp blade to get a clean cut. I’m using a new razor blade. At one end of the strip, sand one side to make a ramp. 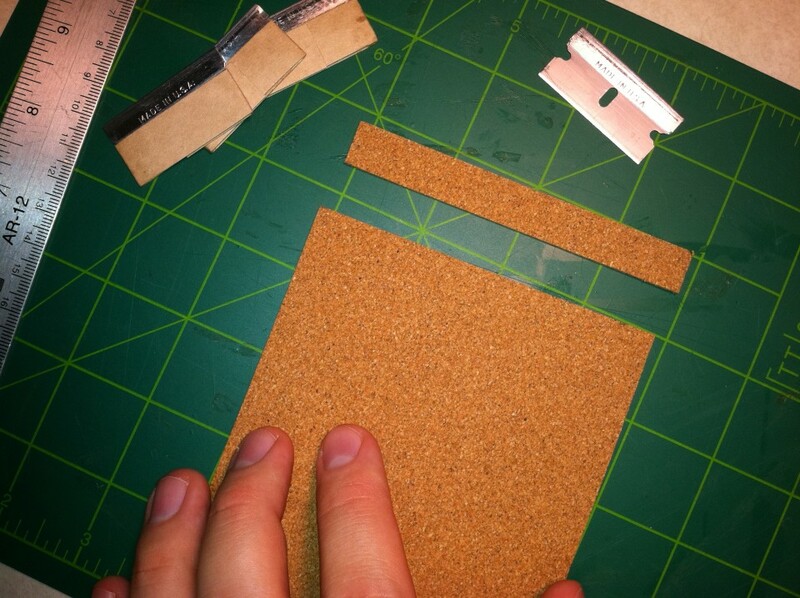 Wipe off any leftover cork dust from the sanding. 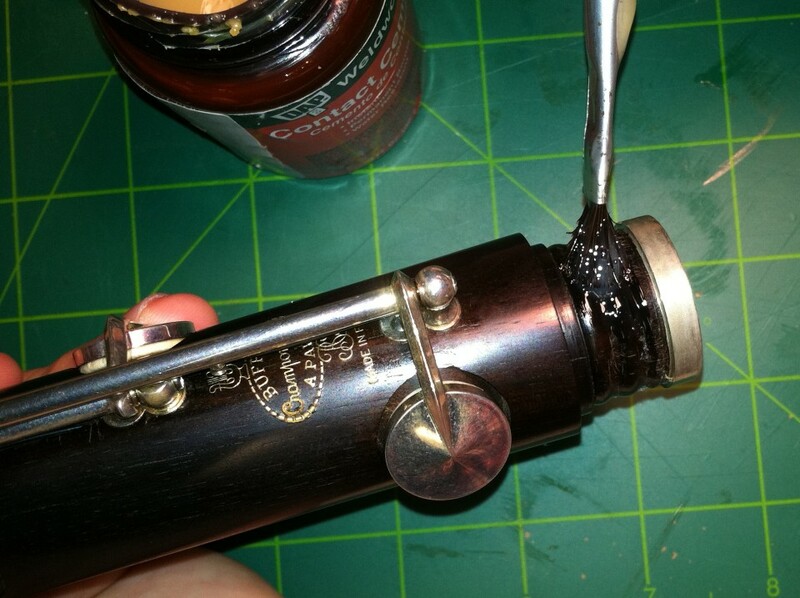 Apply a very thin coat of contact cement to the ramp, to the entire back side of the strip, and to the groove in the clarinet tenon. 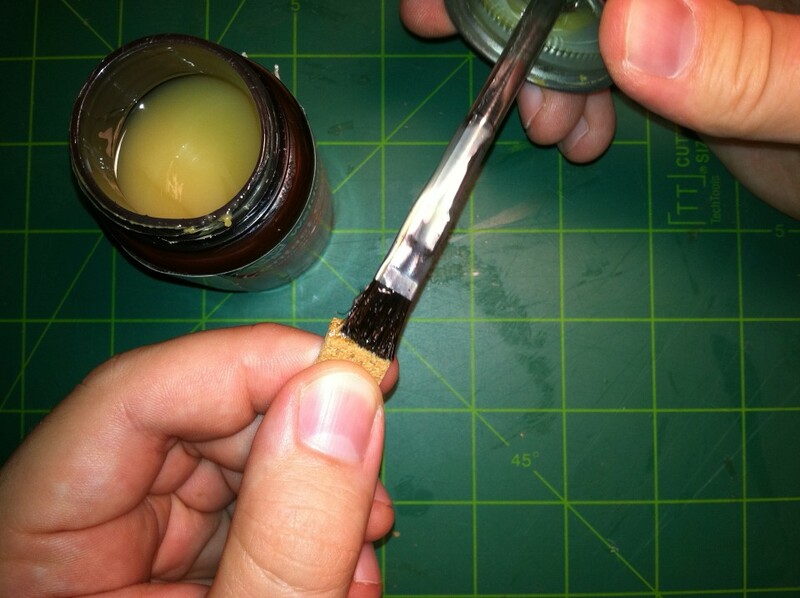 Wait a few minutes until all the glue is completely dry. Starting from the ramp end, press the cork into the groove on the tenon. The ramped side faces up. The dry contact cement bonds instantly, so take your time and make sure everything is lined up right. Sort of massage the cork into the groove with your fingers, to make sure as much surface area of the cork as possible bonds to the wood. Wrap the cork all the way around, and up onto the ramp. 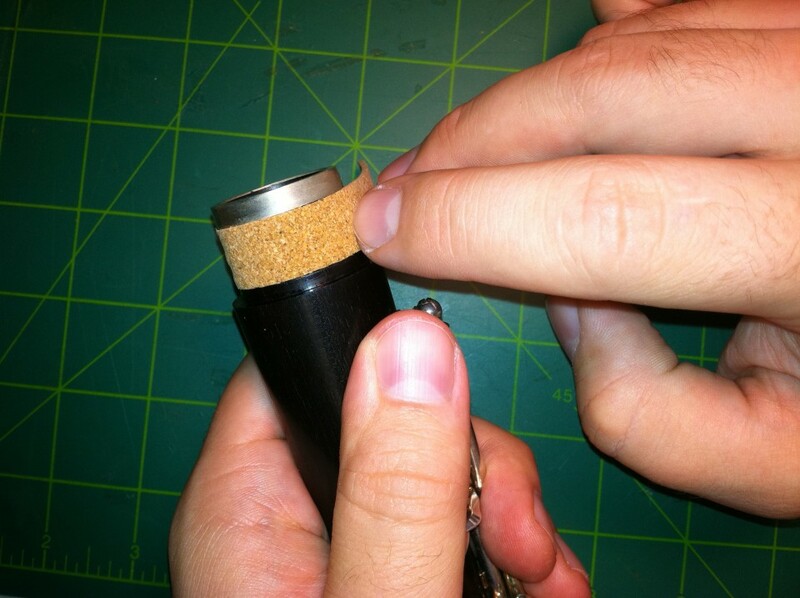 Pay special attention to where the cork overlaps onto itself, and make sure it’s securely bonded. 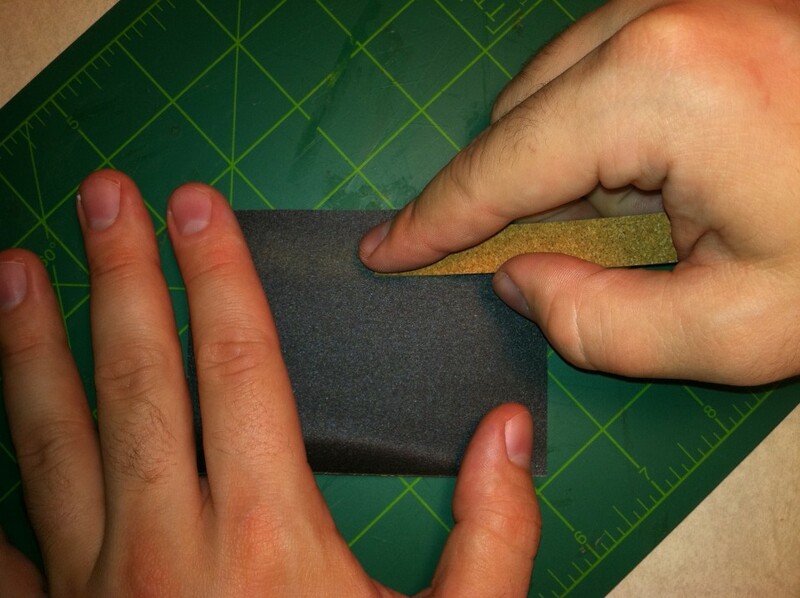 Trim away the excess cork, and sand the seam smooth. 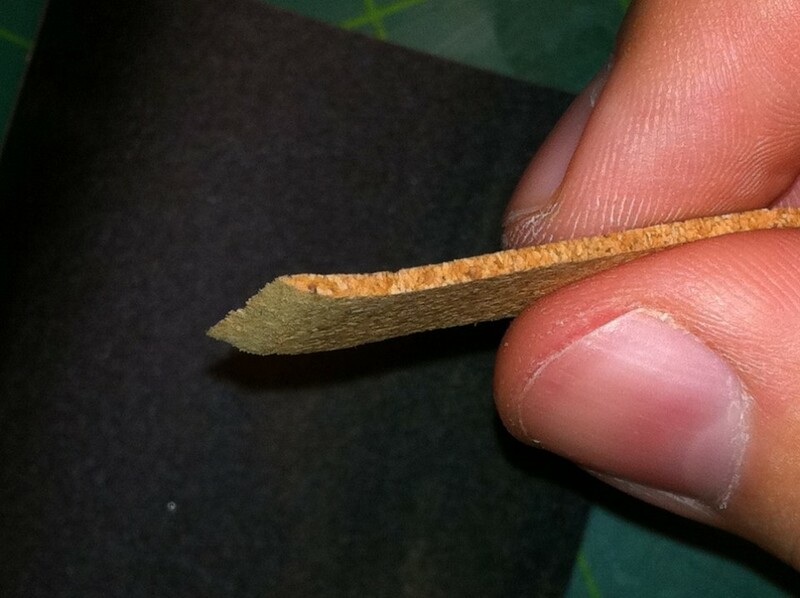 With the composite cork, the seam is practically invisible if you do a good job with the sanding. 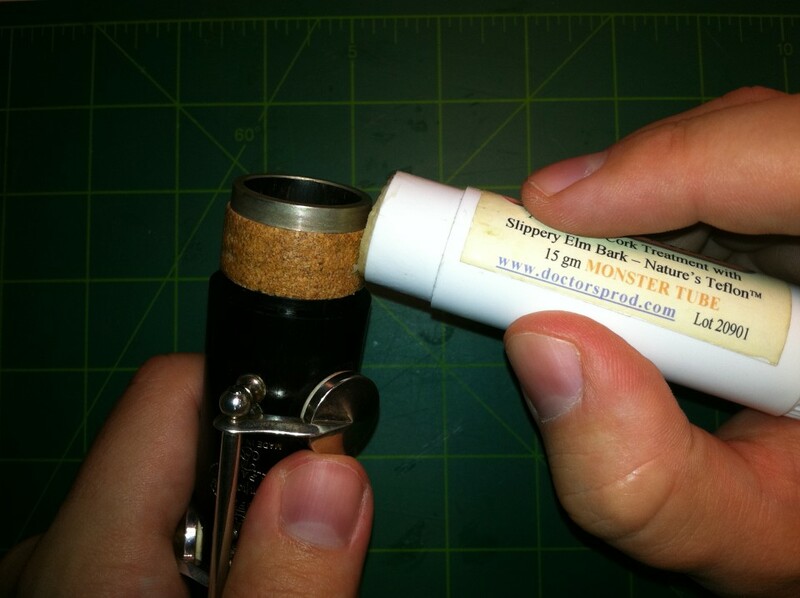 Generously apply a quality cork lubricant. – You want a very tight fit between the cork and the sides of the tenon, so that it will not slide around when putting the joints together. 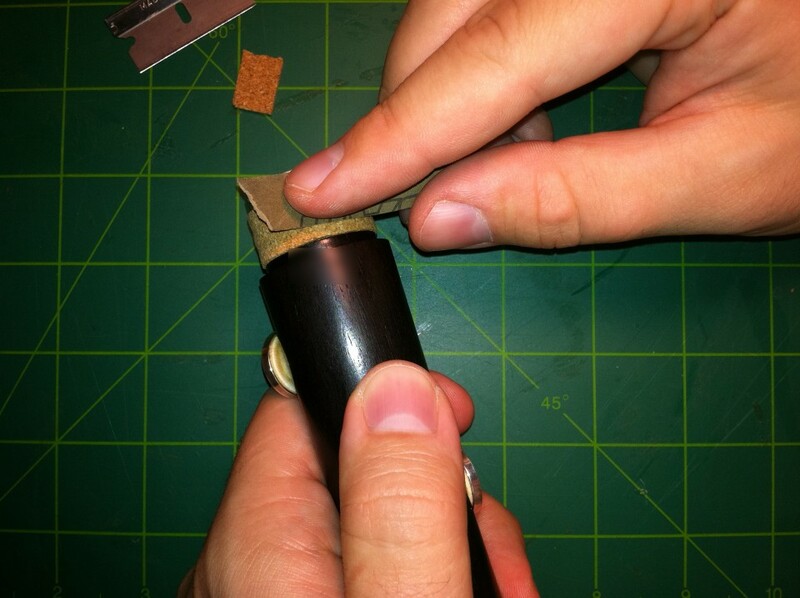 If any excess cork spills over the side of the tenon, don’t trim it with a razor blade. 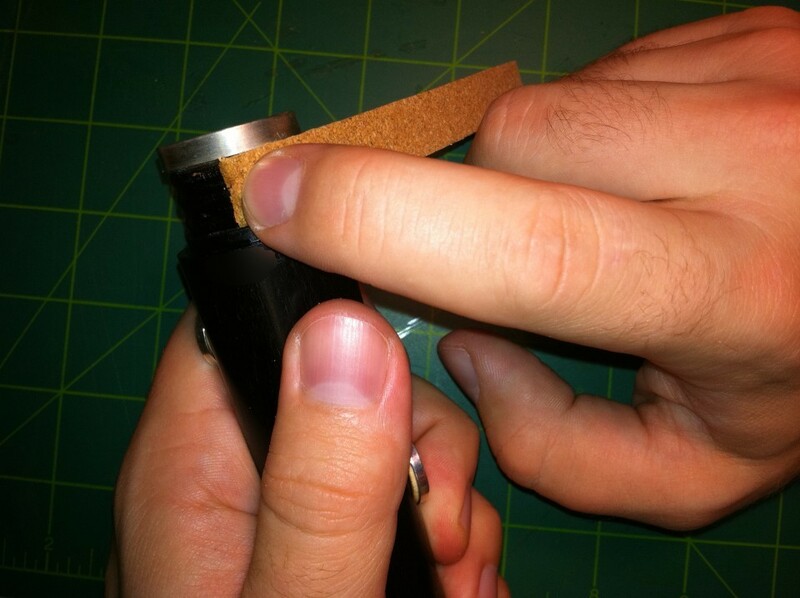 Use your pad slick to push the cork that hangs over down into the tenon. It’ll fit. 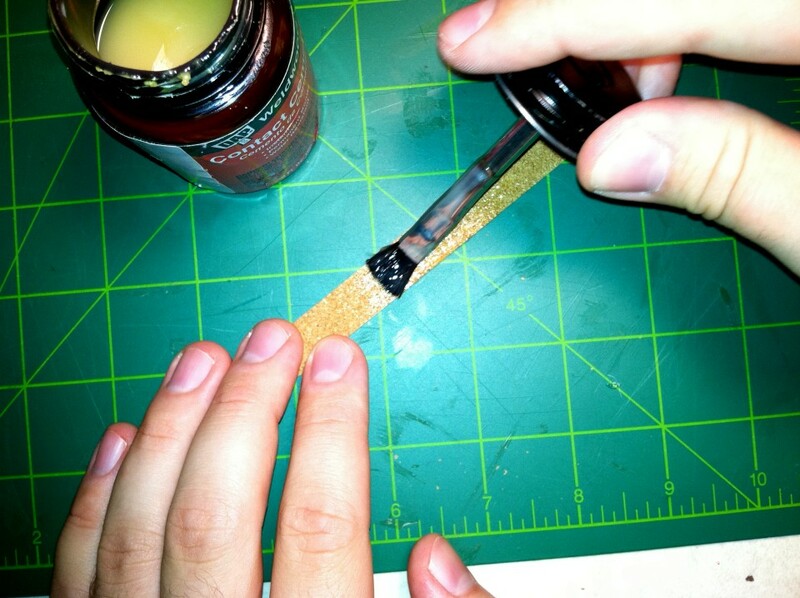 – When sanding the cork on these tenons to fit the joints together, make sure that you take more cork off from the sides, and less from the middle. That way you’ll guarantee a tight fit that seals. 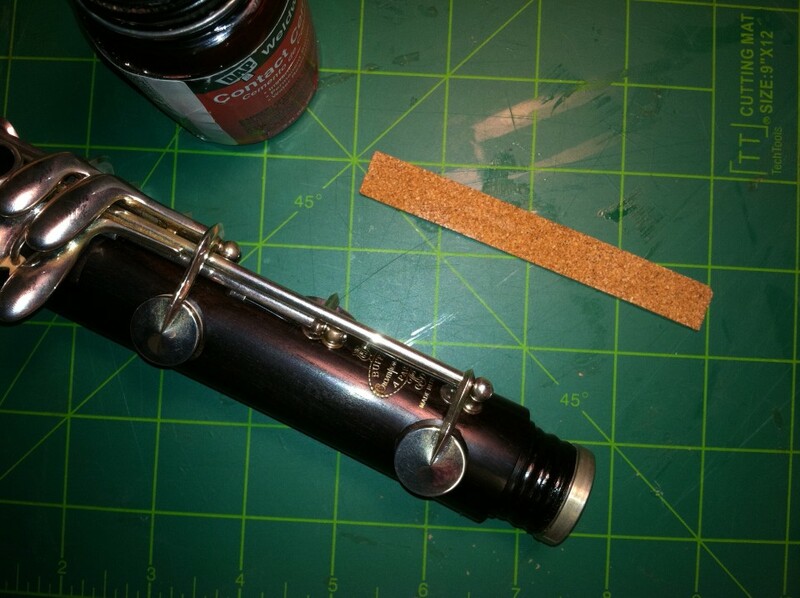 – It helps to spin the clarinet joint on a lathe to do the sanding, if you have one. You’ll get a much more professional looking result by doing so. It just so happens my oboe might soon need this treatment… and I’d have to either courier-ship it or drive a couple of hours to have it done by anyone half trustworthy! 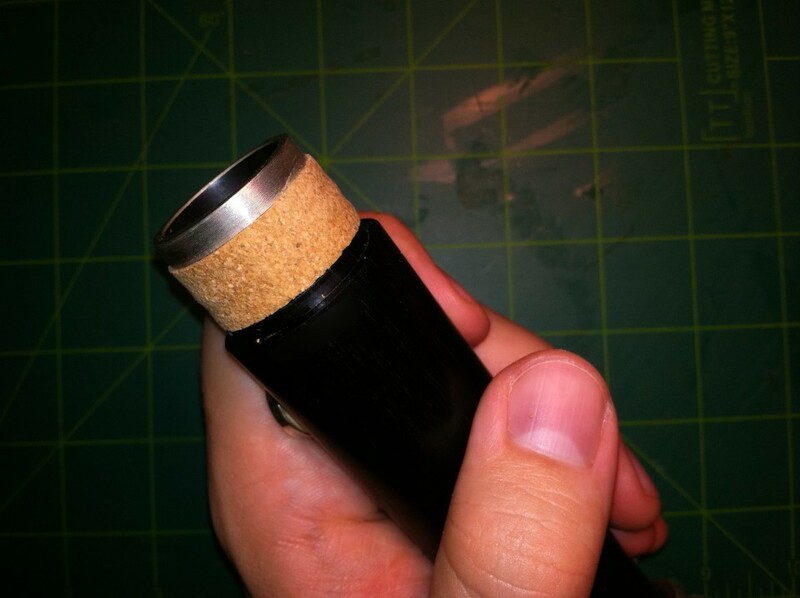 Years ago, I had tightened the tenon cork by wrapping it with one layer of thin oboe reed thread (nylon), sealing it with lots of cork grease. 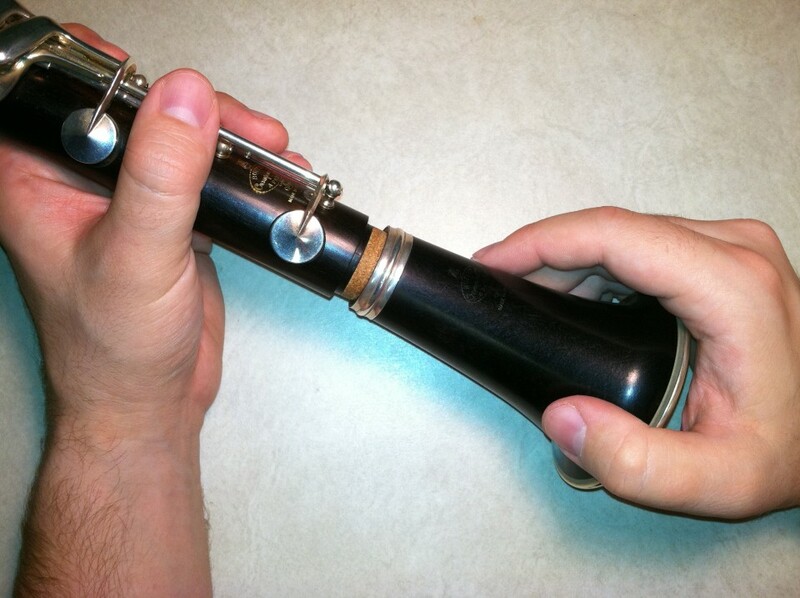 This did work very well for years… but when the finisher at Laubin (David Teitelbaum) saw that during an overhaul… oy veh! Thank you for your information, it is exactly what i am looking for and very detailed, your service is fantastic. I wish i had this in the 1990’s i would have saved hundreds, keep up the great work, and yes i would love to see more info on other repair tips. 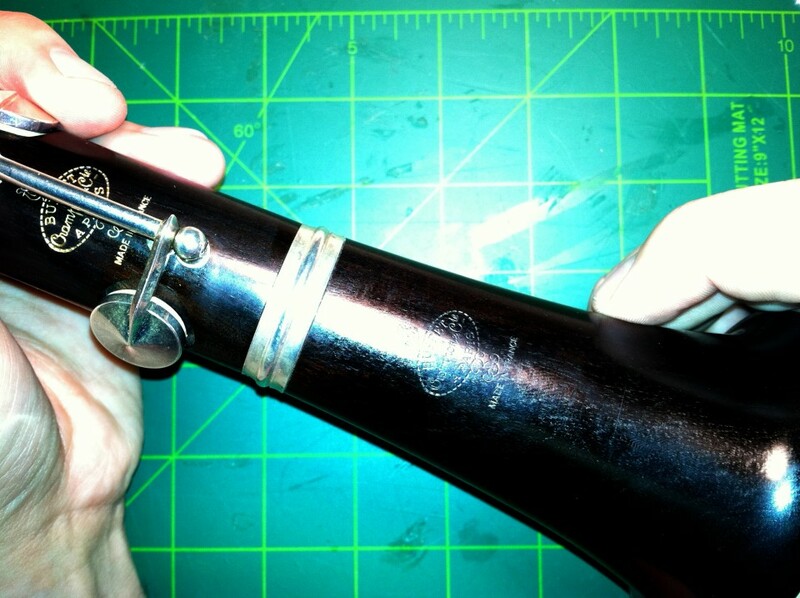 I’m restoring an old Kohlert and sons flute (circa pre 1919, I think) for Irish music session. Refurbished recently before purchase, all pads and springs in good condition. I cleaned and oiled the wood. Replacing cork tenons tonight. Plays well but lacks tight fit; tenons abut wobbley. Excellent flute considering it only cost $100 on eBay, thanks for pictorial refresher. Thanks for the informative directions. 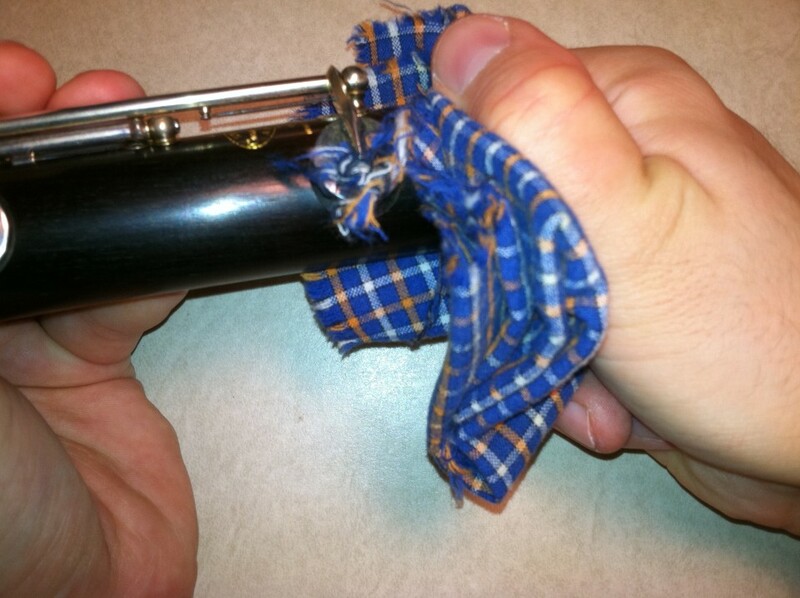 Played clarinet for years but have never attempted this repair. A caution about contact cement would be nice. I thought the warnings on the bottle were quite stringent, and made me not want to breathe any vapors!